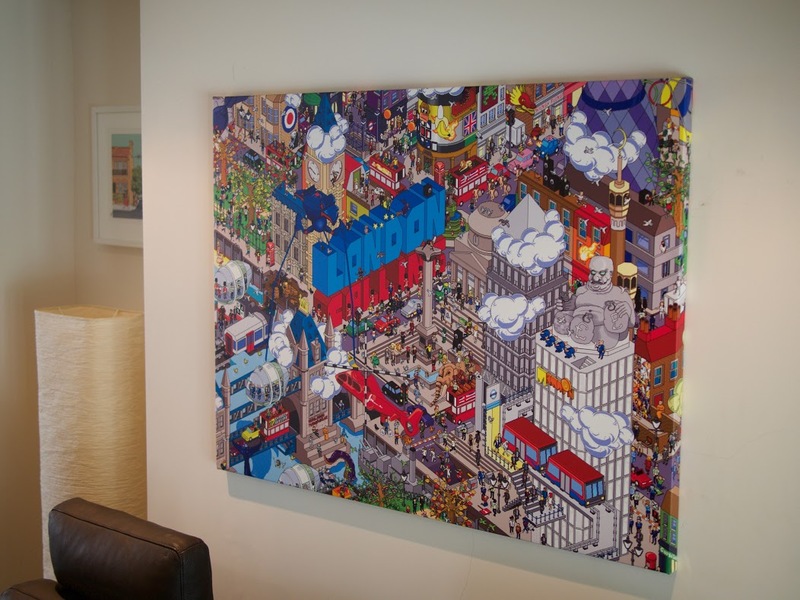 I was very kindly sent these pictures of my London Calling pixel city canvas print. 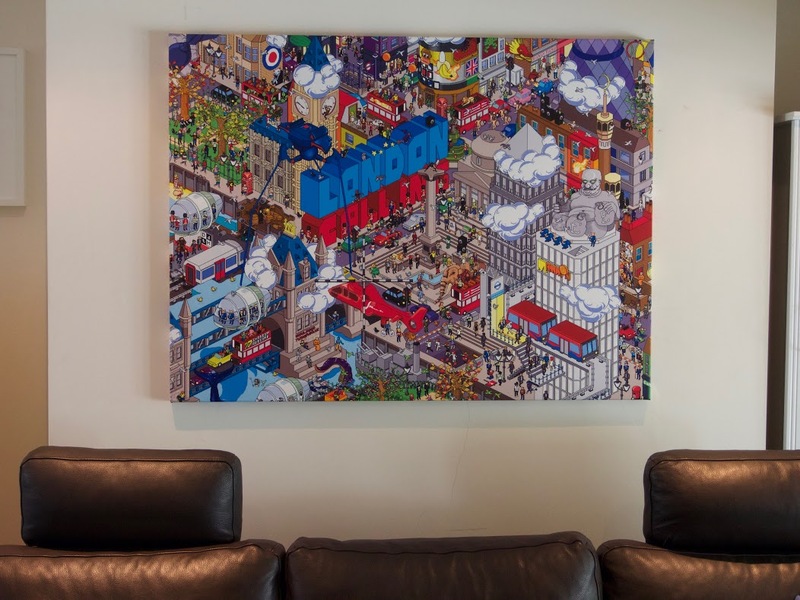 I was – to be quite honest – waiting with baited breath for feedback on this piece, mainly because I’ve never actually seen pixel art printed on canvas before, and I had no idea whether there would be any blurring or distortion involved that would spoil the crispness of the definition of the pixels. However, as you can see, the final product was well worth it!